This post is about a script I started writing today called Engrish. For the last week, I have been studying for a compilers class which makes extensive use of formal language theory. The midterm is tomorrow, and I am sick LL/LR/LALR parsers, sick enough to almost be vomiting alphabet soup. Though at the same time, the whole idea of language processing, outside the context of the class, is interesting. It’s taking something that can be very unstructured and turning it into something that can be analyzed. An idea came to be earlier this week as I flipped through my unused technical writing book that I had bought for a writing class. Normally, these kind of books offer nothing but some tips on structuring documents and other things everyone should have learned in primary school. To my surprise, there was a useful section called ‘Achieving a Readable Style’ which gives keys on building effective sentences and word choice. It laid out very simply what to keep in mind while writing as well as what to avoid while writing. Some pointers included how to vary sentence length, create good verb-to-word ratios, and write concise prose. Some things to avoid were pompous language and passive voice. In the last section the book gave an explicit list of words to avoid such as buzzwords, business jargon, or dead and redundant phrases. Even better, it gives words to possibly use instead. What struck me there there was an explicit list of words, something that could be programmatically fed into a program and be used to analyze an document such as an essay. The program would look for these words to avoid and prompt the user if they would want to replace it with a suggested word. This idea is relatively simple as it only deals with syntax. It would pay off quickly for me to write since I have a large writing assignment soon to be due. Today, I started writing a script which I dubbed Engrish. It would do what was described above. As I was writing it, I got an ambitious idea. What if it could become something a little bit bigger than simply suggesting improvements for word choice? It could also analyze sentences for verb-word ratios and length. The script could point sentences with low verb-word ratios, point sentences with high word counts (>20) that could be “refactored”, and check if sentences are varying in length (perhaps even with distribution of lengths). 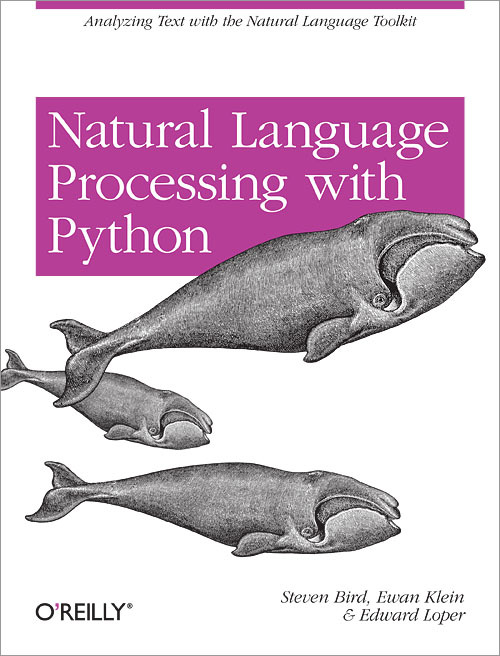 There’s a large Python library called the Natural Language Toolkit (NLTK) which I can use for language processing and analysis. There’s even a whole O’Reilly book on it (sour about the fall library.nu). Well, We’ll see where this goes. For whimsical ideas, I will throw it into my “idea stash”. If I ever get around to including blog tags, these will become a bit more readily accessible. Where is the Doctor with his TARDIS to take me forward two weeks in time so I would have time to knock down my programming bucket list?